This festive season join us at Bournemouth’s most unique party venue, located 200 metres out to sea! What better way to start celebrating Christmas than on Bournemouth’s iconic pier, enjoying spectacular panoramic views of the Dorset coastline. With a fantastic choice of dishes and options to suit all party sizes and budgets, there’s plenty to be smiling about. Prices start from £31.95 per person Sunday-Thursday and £34.95 Friday & Saturday, for a three course dinner and DJ ’til late. Make sure you bring your dancing shoes as all Christmas parties include a DJ and our large domed ceiling will light up, to get the party atmosphere in full swing! Book online using the form below or by calling 01202 925825. 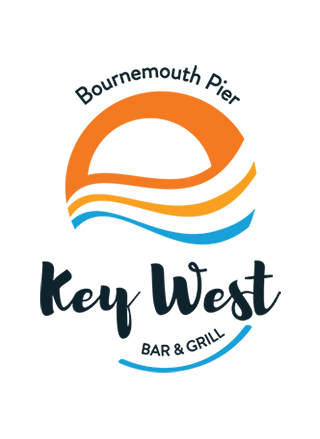 Alternatively you can email keywest@thebournemouthpier.com for more information. £10pp deposit required to secure booking. A pre-order form will be sent and must be returned at least 2 weeks prior to your event with full payment. Don’t want to book the whole venue? Or have a smaller group? We can cater for that too, with one of our Join-a-Party nights, every Friday & Saturday throughout December! Simply use the contact form below, give us a call or drop us an email to find out availability. We can also cater for businesses and organisations who would prefer to party in January! I would like to receive emails about offers and updates from Key West Bar & Grill. 24 hours a day, 365 days a year, providing a prompt, friendly and reliable taxi service for a safe trip home.